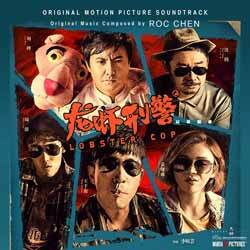 Whatever else you think of Roc Chen's score for Lobster Cop, you can't deny that this is a diverse album which dips its toe into so many different genres. This will either be it's attraction or distraction, depending on your point of view. It's a little odd, as up against the more conventional score we have upbeat dance music, electronic rave themes and industrial bass. We also have drama, comedy, atmospheric cues... you name it, Chen turns his hand to it. The album contains 59 tracks (1 hr, 08 min, 58 sec) and while I have to applaud Chen's ability to deliver the goods, it's not a score I'd listen to for pleasure. It's probably one best left in the movie, which to be honest is what it was really designed for.